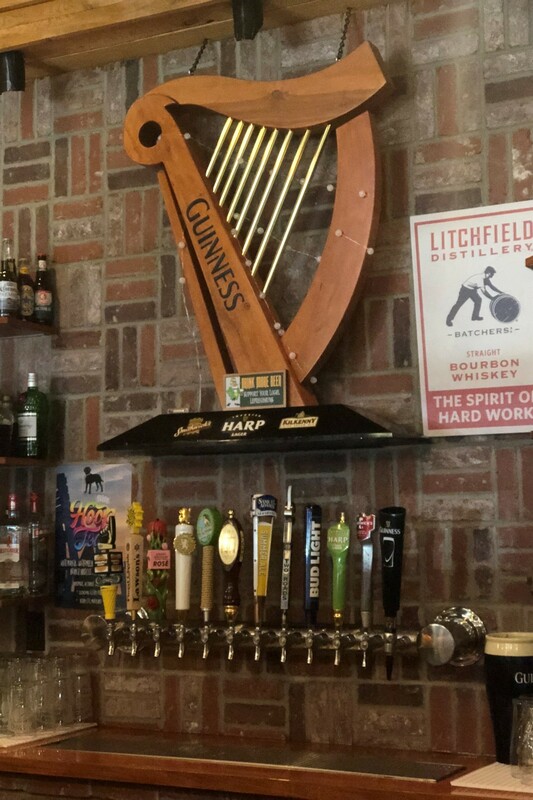 Finnegans Tavern was created by a local family who live in Burlington, CT. Named after their dog Finnegan, Finnegans Tavern offers Irish/American Cuisine for Breakfast, Lunch and Dinner in a warm and friendly atmosphere. Come sit by the fire in our dining area and have a bowl of homemade Irish stew and a Pint of Guinness or gather with your friends at our "Copper Penny" Bar in our Tavern area and choose from 12 Draft Taps or any top quality spirits from our full service Bar. Whether you stop in for a full meal, a beverage of choice or have a special event, Finnegans Tavern's Staff will always greet you with a smile and make you feel at home.